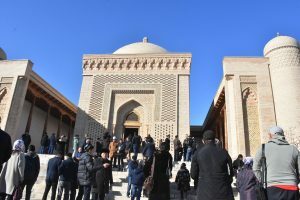 The First International Ziyarah Torusim Forum was held in Bukhara from Feb 21-23 in Bukhara in which hundreds of delegates participated from across the globe. 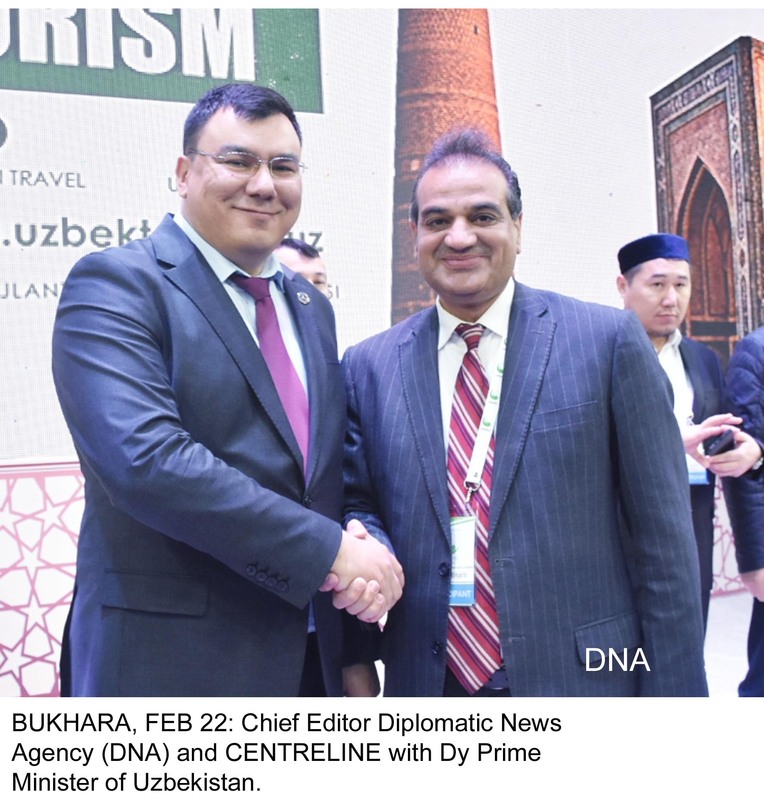 The Deputy Prime Minister of Uzbekistan Aziz A. Abdukhakimov spoke during the inaugural session and said the event shall give a considerable boost to the tourism industry of Uzbekistan, especially the Ziyarah tourism.Delegates from over 34 countries including Pakistan attended the Forum. 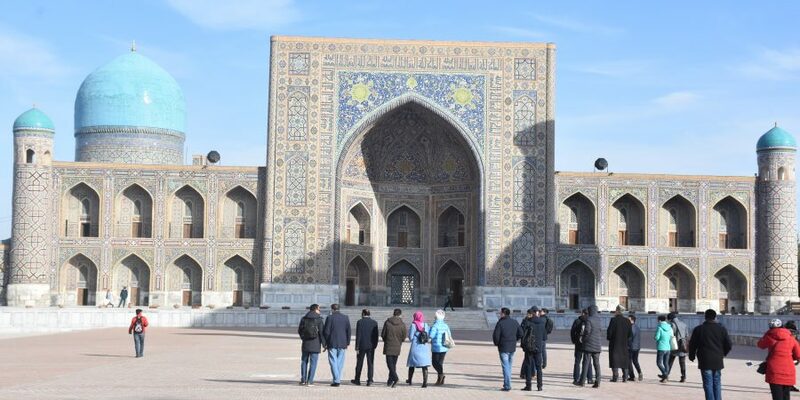 Despite being the first-ever forum of its kind, the platform provided the participants with an opportunity of having detailed information about the Ziyarah tourism potential of Uzbekistan. The Forum was organized as per the vision of the President of Uzbekistan Shavkat Mirziyoyev who wants development of tourism at a fast speed. Since the Presidential decree, developing tourism has become a major priority for Uzbekistan, a landlocked country in Central Asia with great landscapes and a very rich historical heritage. Uzbekistan has recently put a strong emphasis on developing its air fleet, in part by acquiring Boeing’s Dreamliner long-haul aircraft, and high-speed train connections, including to Samarkand, an ancient city that is on UNESCO’s World Heritage List. The Deputy Prime Minister of Uzbekistan who is also the head of complex of sports and tourism welcomed the guests and hoped the trip would contribute to enrichment of their knowledge about Ziyarah tourism. He said flow of tourists to Uzbekistan has multiplied manifold adding one of the key reasons in this effect was liberalization of visa policy. He said the new visa region introduced by the Uzbek government allows tourists from across the globe to have an easy entry in Uzbekistan. He said his country was consistently implementing comprehensive measures to develop the tourism industry as one of the strategic sectors of the national economy, which ensures the accelerated development of the regions, increasing the income and quality of life of the population, as well as improving the investment attractiveness. He said the objective of this Forum is to promote opportunities and potential of the country, as well s the international recognition of Uzbekistan as one of the largest centers of Ziyarah tourism in the Islamic World. The Forum was organized by the State Committee of the Republic of Uzbekistan for tourism development, the administration of the Bukhara region, the committee for religious affairs under the government of Uzbekistan, the Muslim Board of Uzbekistan together with the ministry of Foreign Affairs. 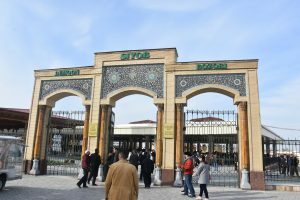 The deputy prime minister further said the government is taking significant measures to improve the attractiveness of Uzbekistan in the direction of Ziyarah tourism. “On behalf of the Government of Uzbekistan, I welcome all the guests and participants of the Forum. Today Uzbekistan is one of the centers of world tourism, the keeper of the rich heritage of a large civilization, the “heart of the Silk Road”, a major international platform for discussing topical issues on the development of tourism ziyorat. In recent years, the tourist market of Uzbekistan has undergone significant changes. “Since 2018 work has been carried out to introduce into practice the standards of Halal in public catering and restaurants in the country”. In 2018 alone, the number of foreign tourists increased from 2 million 600 thousand to 5 million 300 thousand people. Export of tourism services is growing in the same way, which has grown from US$546 million to US$1 billion 40 million.” Abduhakimov noted. At the Forum, dedicated to the role of tourism in the development of tourism potential, guides working with foreign and domestic tourists take part. The Forum participants were informed about the country’s tourism potential, recent reforms in the field of doing business in the tourism industry, and opportunities created for foreign investors. 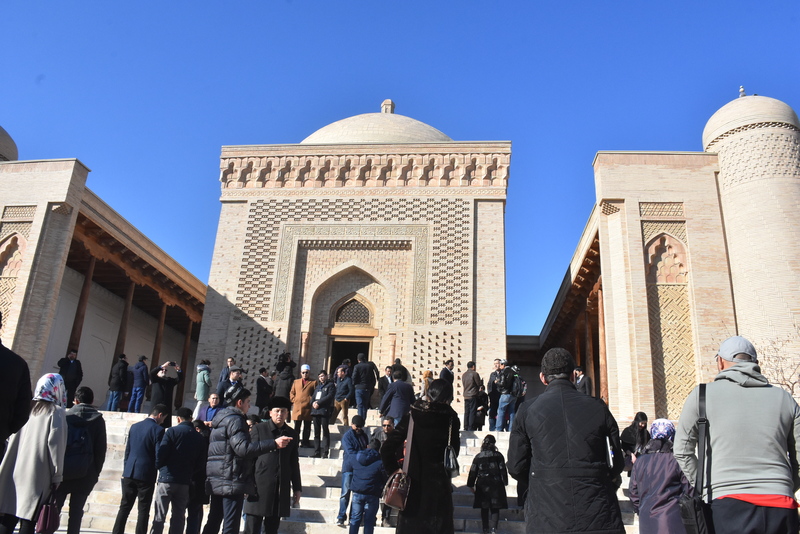 The purpose of the Forum, inter alia, was to familiarize the participants with the rich cultural and religious heritage of Bukhara and Samarkand. The participants were taken to sites and objects of Ziyarah in the regions, including the Bahaudin Naqshbandi and Imam Al Bokhari memorial complexes. The State Committee of the Republic of Uzbekistan together with the Hunarmand Association in Uzbekistan organized an exhibition in the Youth Centre relating to areas of calligraphy, miniatures, pottery, gold embroidery, jewelry and woodcarving. The foreign delegates evinced keen interest in the exhibition and lauded the great art work of Uzbek artists. The guests also witnessed a theatrical performance called “7 peers of Bukhara”. The delegates were greatly touched by the hospitality and comfort extended to them during the Forum. According to these representatives of the tourist business, the main decision in the development of directions to the objects of pilgrimage for tourists is the competent organization of such tours, the provision of accurate information about the memorial objects and a reasonable distribution of the day of tourist groups for the Ziyarah tourism. Today in Uzbekistan there are more than 7,000 priceless memorial monuments of historical material heritage – the main centers and destinations for the tourism in Uzbekistan. A huge role is played by rich national traditions and values, emanating from the pre-Islamic period of civilization, thanks to which such priceless material objects were created. Apart from development of the infrastructure the Uzbek government has also taken a number of steps in order for better facilitation of tourists. Introduction of Tourism police in key tourists’ destinations and launching of bullet train are indeed steps to be emulated. When asked by this scribe, the tourists visiting Uzbekistan told they were feeling absolutely secure everywhere in the country. They also praised Uzbek society, where Islam is the predominant religion, for being open-minded and tolerant to other cultures. In the last two years, the country took many steps to make it easier for visitors to come- a move which has significantly increased flow of tourists. Foreign investors had unprecedented opportunities to become pioneers in discovering a hidden gem and take part in a boom of unprecedented dimensions and ambition, with an expected double-digit growth in years to come. Investors from Pakistan too are looking for setting up businesses in Uzbekistan. I had a chance to meet with some Pakistanis doing business Tashkent. They were quite happy the way they were being facilitated by the local authorities and encouraged others also to come to Uzbekistan and invest there. Uzbekistan for sure is a country for being one of the safest in the world, having fantastic monuments, fascinating cuisine, good prices, a kind population and good weather (300 days of sunshine per year), and allowing tourism around the year. “Every time is a right time to visit Uzbekistan”, told a tourist to DNA and Centreline. Tourism police is ostensibly a unique idea and Uzbekistan ranks perhaps at the top among those countries, which have introduced a dedicated tourism police for the facilitation and protection of tourists visiting Uzbekistan. Despite being a frequently traveler across the globe, I did not come across any police that was fully devoted to protection of tourists. Undoubtedly, this steps has not only encouraged more and more tourists to come to Uzbekistan but also sent positive vides throughout the world that if they visit Uzbekistan for tourism purposes, they shall be properly taken care of. I had a chance to interview members of tourism police at Shah-e-Zinda and then at the mazar of Imam Bokhari. Always patrolling in a duo, i.e. a male and a female, the tourism police representatives told me that our first and foremost job is to provide security to the tourists. They are our esteemed guests therefore it is our utmost responsibility to protect then and guide them to their satisfaction. They lady told me that they belong to normal police however keeping in view their ability to communicate in multiple languages they are assigned this job. Pakistan is also in the process of re-invigorating its tourism industry therefore it can learn from the experiences of Uzbekistan. Introduction of a similar tourism police force exclusively for the touristic places will help improve flow of foreign tourists. With a better security situation, tourism industry undoubtedly will get a considerable boost. 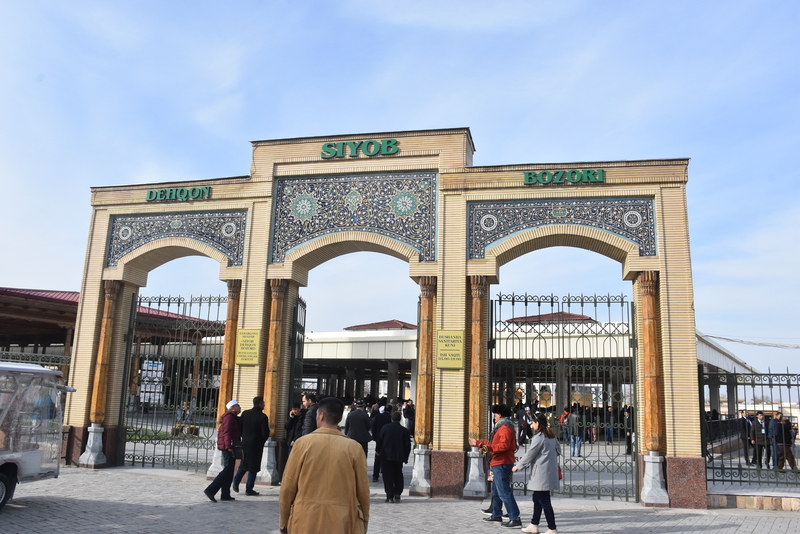 The Tashkent to Samarkand high-speed rail line is a 344-kilometre (214 mi) high-speed rail connection between Tashkent and Samarkand, the two largest Uzbek cities. The route passes through four provinces: Tashkent, Sirdaryo, Jizzakh and Samarqand in Uzbekistan. Trains operate seven days a week under the brand Afrosiyob. A 141 km long extension to Qarshi started operation on August 22, 2015, though at lower speed of 160 kph. An extension to Bukhara on the Talgo 250 ran for the first time on August 25, 2016 — marking the completion of a project to modernise the 256 km route from Samarkand. Travel from Tashkent to Bukhara, a distance 600 km, is covered in around 4 hours instead of 7 hours. Bukhara is one of the oldest cities of Uzbekistan with a thousand years of history. Bukhara is a holy city of Muslim world. There are many mosques, shrines, madrasahs, with the latest one among them dating back to the XIX century, preserved there. The historic center of Bukhara has been listed by UNESCO as one of the World Heritage Sites. You will need at least two days to do Bukhara main architectural sights. Bukhara is a city-museum, with about 140 architectural monuments. The nation’s fifth-largest city, it had a population of 247,644 as of 31 August 2016. People have inhabited the region around Bukhara for at least five millennia, and the city has existed for half that time. The mother tongue of the majority of people of Bukhara is Tajik.Located on the Silk Road, the city has long served as a center of trade, scholarship, culture, and religion. UNESCO has listed the historic center of Bukhara (which contains numerous mosques and madrasas) as a World Heritage Site. The writer is Chief Editor of CENTRELINE and Diplomatic News Agency (DNA). The article is based on his recent visit to Uzbekistan.